My cousin's company, Jumpshot, had launched on Kickstarter about a month before we got there. In one of their promotional videos there was a bear. It all started as a joke, but it has turned into a "serious" part of their marketing. People love the bear. 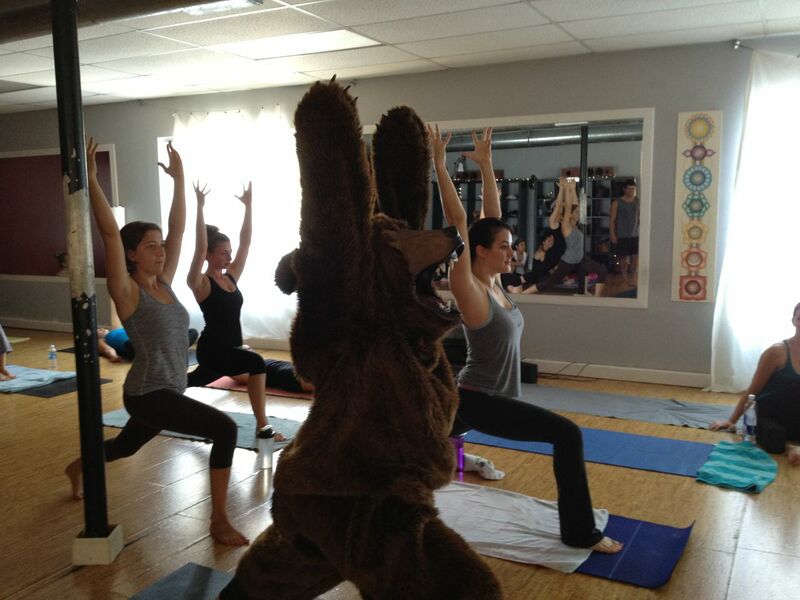 They began sending out "behind the scenes" pictures of the bear with their weekly company updates. They were hilarious. Since my cousin had a shoulder injury I was drafted to wear the suit in the yoga class for the next weeks picture. It was hot! Luckily we just did a few poses and left and did not do the whole class. I would have easily passed out, the costume is so hot. After the yoga adventure we headed to Whole Foods for some provisions. (If you haven't been to Austin, Whole Foods has a headquarters there and the store is gigantic.) Since we were in the Jeep with no windows or doors we had to bring the suit in, just in case. 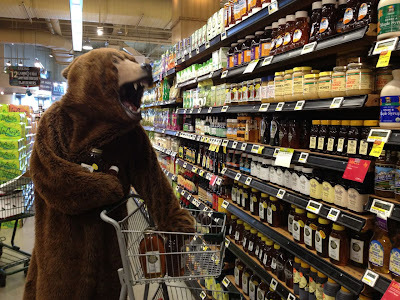 We strolled around Whole Foods with a bear head in the top part of the basket. The looks we were getting were so entertaining. 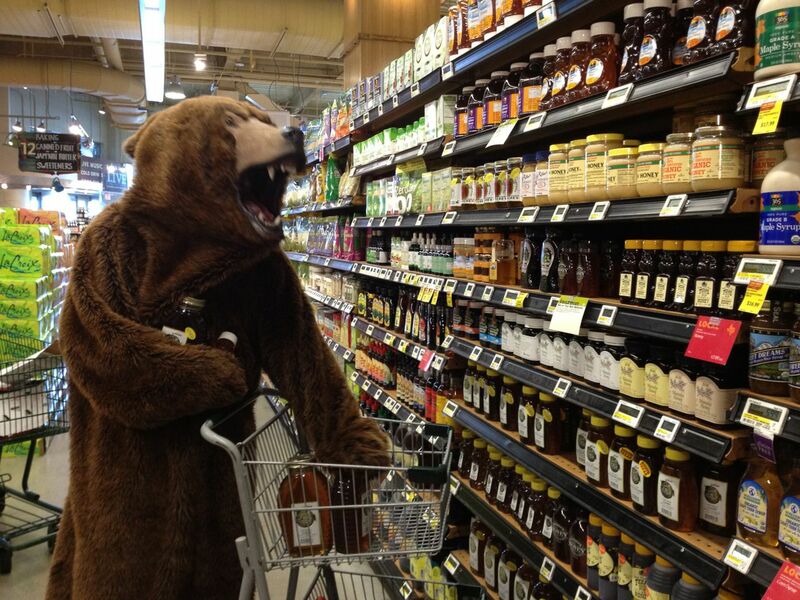 Then my friend had the brilliant idea to go to the honey aisle and have my cousin put on the suit. More hilarity ensued. The best by far though was when we went to the cheese section and the guy behind the counter asked to put on the costume and then roved around the area for a few minutes. I could not stop laughing. It was the most entertaining morning I've had in a while.